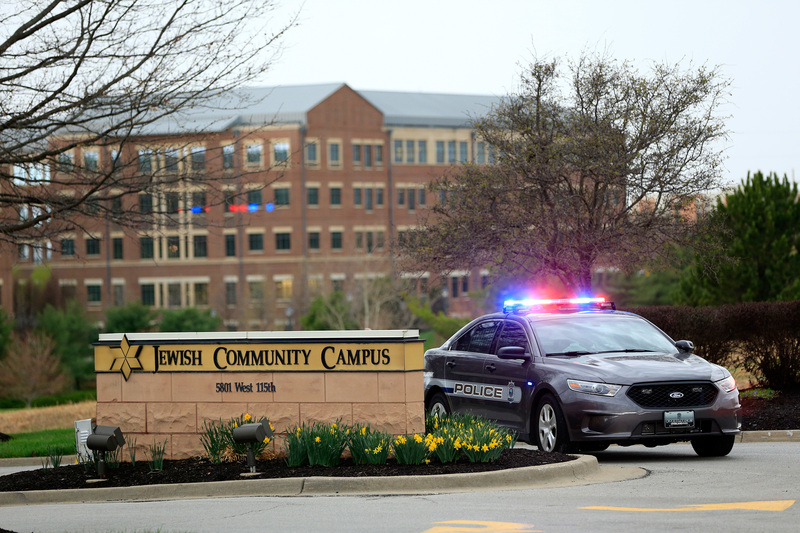 One day before Passover, three people died at a Jewish Community Center and a Jewish retirement home in Overland Park, Kansas when they were shot by an alleged white supremacist. Frazier Glenn Cross, the 73-year-old shooter, was reportedly a Ku Klux Klan "grand dragon" in the past, and — though authorities aren't confirming that the shooting spree was a hate crime — YouTube videos and Twitter messages show Miller yelling “Heil Hitler!” as he was arrested. At roughly 1 p.m. Sunday, dispatchers received a call about shots being fired in the Jewish Community Center of Greater Kansas City. The shooter fired at five people in the parking lot outside the center, missing two but hitting two males — including one 14-year-old boy. One of them died at the scene, the other later succumbed to his injuries in hospital. The gunman then drove to the Village Shalom retirement community, located about a mile away from the Community Center, and fatally shot a woman before being taken by the police at a nearby school. "It is with deep sadness that we confirm the tragic loss of Dr. William Lewis Corporon and Reat Griffin Underwood who died as a result of the injuries they sustained in today's shooting at the Jewish Community Center. Dr. Corporon was Reat's Grandfather, whom he loved very much," said a statement by Will Corporon. Cross — an alias for Frasier Glenn Miller — had allegedly come prepared with several firearms, including a shotgun, a handgun and maybe even an assault weapon. Although authorities haven't confirmed that Sunday's shooting spree was an anti-Semitic hate crime, the FBI is currently investigating it as such and an anti-hate group has also said that Cross was once the "grand dragon of the Carolina Knights of the Ku Klux Klan." Not only that, but reporters even caught him yelling “Heil Hilter” as he was hauled into the police car during his arrest. "We know it's a vicious act of violence. Obviously two Jewish facilities, one might make that assumption," Overland Park Police Chief John Douglass said at a news conference. President Barack Obama condemned the shootings on Sunday, calling them “heartbreaking,” and promising to conduct a thorough investigation. "I have asked my team to stay in close touch with our federal, state and local partners and provide the necessary resources to support the ongoing investigation," the President said. "While we do not know all of the details surrounding today’s shooting, the initial reports are heartbreaking. I want to offer my condolences to all the families trying to make sense of this difficult situation and pledge the full support from the federal government as we heal and cope during this trying time."